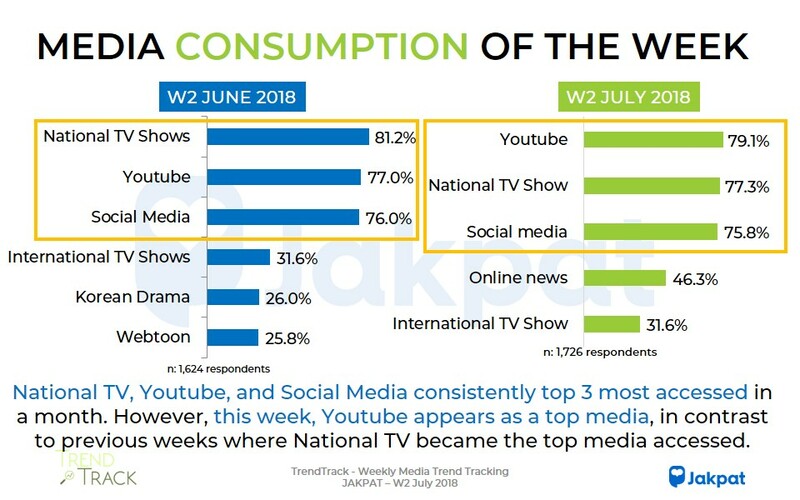 The Trend-Track study is initiated to capture current trend that happens on media that is consumed by netizen on biweekly then weekly basis. We have started our first trend track survey in the second week of March 2018, and we are currently publishing our second Trend Track survey report for the SECOND WEEK OF JULY 2018. Hopefully, we can continue to feed you with media trend on more real-time and regular basis. 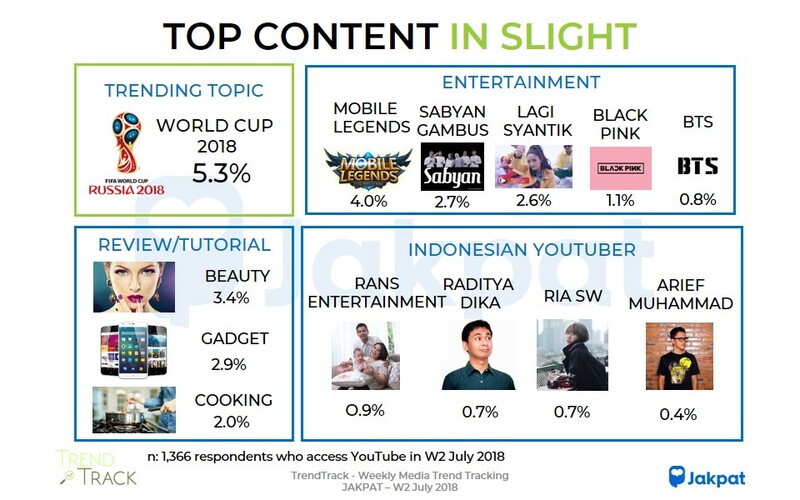 WORLD CUP 2018 was all over media in the second week of July 2018. 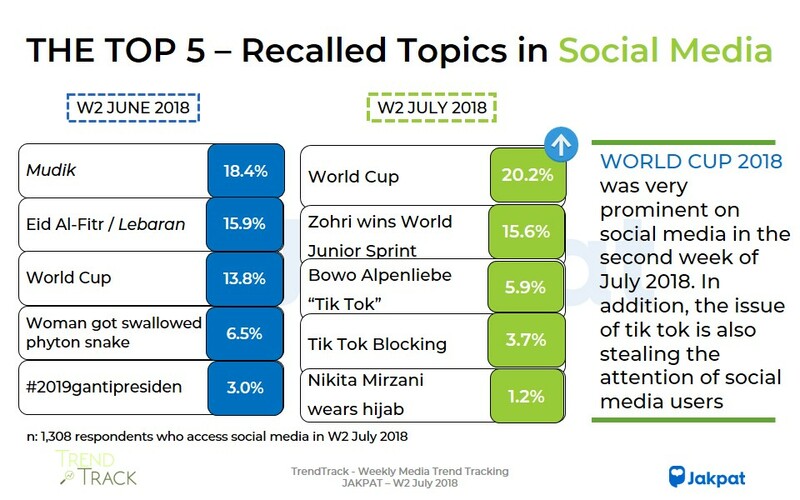 In addition, the news about Zohri’s victory at the world junior sprint championship also received considerable attention, as well as topics about TikTok, both about the viral Bowo Alpenliebe and Tik Tok blocking by the Indonesian Government. This entry was posted in Lifestyle, Premium Report on July 25, 2018 by JakPat.